Many 'Fortnite' players have enjoyed Playground limited-time game mode, and the game developer will bring it back; may be permanent mode. Epic Games, "Fortnite Battle Royale" developer, had recently released Playground limited-time game mode. This has quickly turned into a player-favorite mode as players used it to practice their skills and play against their friends in a calm environment. 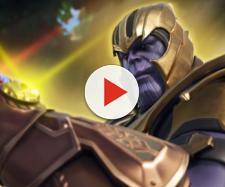 Unfortunately, the limited-time game mode was taken away with the start of season 5, but the game developer intends to bring it back and make it better. In short, Playground mode allowed "Fortnite Battle Royale" players to build and fight for up to 60 minutes. Players were able to fight against their own friends, and resource rates were extremely high, allowing players to build numerous structures on the island. 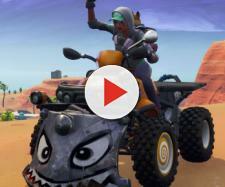 Since the mode was primarily used as a battleground between two or more teams, Epic Games decided to improve it and allow players to select their teams. Even before Playground limited-time game mode expired, Epic Games made it clear that it would be improved and released multiple times. While Playground V2 doesn't have a specific release date, "Fortnite Battle Royale" players are expecting it to be released soon, or more specifically in the first few weeks of the fifth season. The biggest improvement that will come in the second version of Playground mode is a team selection. Players will be able to select their teams and fight against each other, which is something that will make the mode much more fun. Considering that up to four players can join the same lobby in Playground LTM, we can expect the game developer to add a 1v1 and a 2v2 modes. As the tweet above indicates, Epic Games has already added game files necessary for this change. Additionally, the game developers made it clear that they will try to keep Playground as a permanent game mode in "Fortnite Battle Royale." Epic Games released week 2 challenges on Thursday shortly after the maintenance downtime. Once again, players have received seven new weekly challenges, with three of them being free. By completing these challenges, "Fortnite Battle Royale" players can earn 50 Battle Stars, which equals to five Battle Pass tiers. Additionally, players get 5,000 Season XP after completing four out of seven challenges, and they can get a free tier after completing all seven challenges. Once again, players can see a hint for a free tier on a new loading screen. 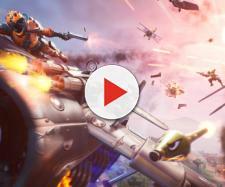 Below, you can watch a video to see where you can find this week's "treasure map" Battle Star.